With films like THE CROW (1994), DARK CITY (1998), I, ROBOT (2004), and his latest film GODS OF EGYPT (2016) to his credit, Alex Proyas has established himself as one of modern cinema's most exciting visionaries. 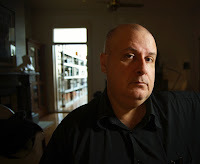 In the second part of our three-part interview, I spoke with Alex about making DARK CITY, I, ROBOT, and his very personal film GARAGE DAYS (2002), and also about his views on modern film criticism. How long had DARK CITY been in gestation before it got made? I started writing the script in 1990, and worked on it for many years. I parked it while I made THE CROW and then after that film was commercially successful, people kept saying ''What do you want to make next?'' And I would always say ''This!'' Most people said ''Thank you very much. Come back to us when you want to make something sensible. '' But eventually I got people involved who were interested in making the movie and at that point I chose to take off my writer's hat and put on my director's hat and bring someone else into the mix. There were two other writers. Lem Dobbs came in first, and then David Goyer. I'd had such a good collaboration with David Schow on THE CROW, and it felt really wonderful to have some other guy in the room that you could bounce ideas off and try different ideas with and explore things with, and at the end of the day, it was the other guy that had to make it work! I wanted to repeat that experience with DARK CITY, and I think both Lem and David brought some very good stuff to the story. They were both involved with grounding it a little bit and making it more commercial I guess. It was a lot weirder script when I first started it and it became gradually more narrative and genre-based. Did you experience any studio interference making the film? On DARK CITY I was very much left alone for the entire process. Once we got the cast in place, the studio relaxed and backed off. It was not a very big budget movie. I think the initial budget going in was in the low 20s, and I think it ended up being $27 million all up. That's always the correlation – the bigger the budget, the more they are going to hassle you. They didn't get involved until we started testing the movie and it didn't test as well as they wanted it to. Then they started tinkering with the movie and ripping it apart and putting it back together. They also put voice-overs on the beginning of the movie to explain everything, which in a mystery is not such a good idea. We did manage to do a Director's Cut eventually, which reinstated what the original movie was meant to be, which was strangely not that different. It was really the opening voice-over that was the most onerous addition to the movie. 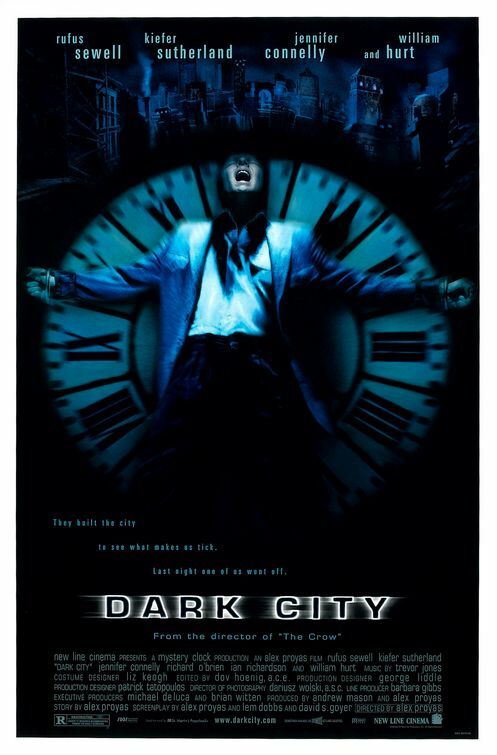 Was DARK CITY always the title? Yes, but there was some weird thing during production where there was some legal reason why we had to change the title, and for brief moments it was going to be called Dark Universe and Dark Empire. I was very happy when it reverted back to DARK CITY. Are you surprised by how big a cult film it has become? I was surprised it didn't achieve commercial success initially, but I'm happy it has had this long-lasting life after the fact. I was pretty disappointed the studio hadn't really managed to sell the movie in the way that they could have. I don't think they really knew what to make of it quite frankly. The studio put out a trailer that was quite clever. It was completely non-narrative, just music and imagery. The guys who made the trailer specifically wrote a piece of music for the trailer, and the whole thing felt handcrafted and definitely had a personality. I think people were genuinely impressed by it but it didn't explain to them what the movie was or give them an idea of the kind of experience they were going to get. I think it made audiences think it was some kind of a horror movie. As a result people kind of overlooked it in the theaters. I know 99% of the people who loved it and always ask me about it are people who saw it on video years later. How do you feel about the similarities the later MATRIX has to DARK CITY? If I answer that question honestly it sounds like sour grapes because obviously THE MATRIX did better commercially than DARK CITY did. 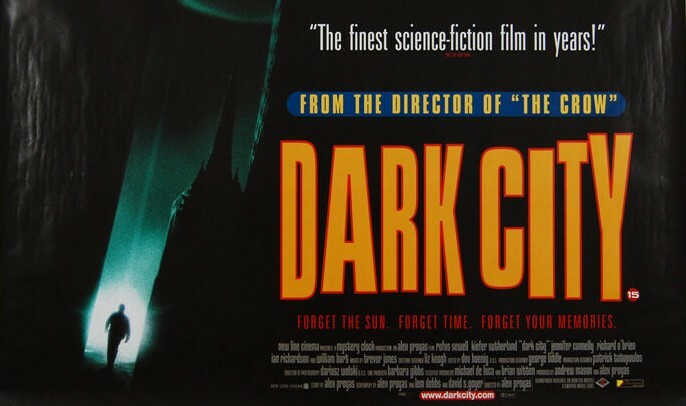 DARK CITY came out a year before THE MATRIX, one of my producers on DARK CITY worked on THE MATRIX, and the Wachowskis saw DARK CITY a good nine months before DARK CITY came out in the theaters, so they had a good run at picking the more important cherries off the cake. I feel like it's a question I can't answer in any more detail than that, other than to say that maybe the Wachowskis should be asked the question rather than me. 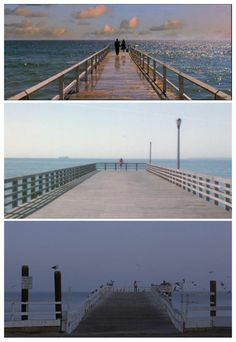 How about the similar shots in the later REQUIEM FOR A DREAM and HOUSE OF SAND AND FOG, which both have shots of Jennifer Connelly at the end of a pier? I don't know what the hell is going on there! I actually didn't know about HOUSE OF SAND AND FOG. You recently posted on Facebook about overly negative critics, but Roger Ebert was one critic who appreciated your work. He loved DARK CITY, for example. Do you think there are still critics as influential or as perceptive as him? My point with critics was very specifically to do with GODS OF EGYPT. As I have said repeatedly, film criticism is important but it's been derailed over the years. If I went off on a rant against every film critic who gave me a bad review I'd be doing nothing other than that. What I got so annoyed with are the reasons critics were saying they didn't like GODS OF EGYPT. It seems to me an epidemic now where for critics it's a race to the bottom of basic social media discourse. It's all about how clever you can make yourself look in a critical piece of writing by belittling and mocking a film, and I find it very sad. I don't think that's going away unfortunately, and I think it's the worst it's ever been. 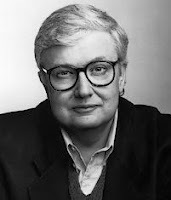 I don't know if people like Roger Ebert exist anymore. You know, I didn't always agree with all of Roger's critiques and he didn't like all of my movies. I remember having lunch with him at Sundance after he had seen my film GARAGE DAYS, and he really didn't like it. He told me he didn't like it, and why he didn't like it, and I completely accepted that. If you are going to criticise, you have to come from a point of honesty. You can't fool yourself that you don't like something for reasons other than why you really don't like it, or just be part of the status quo because that's what everybody else is saying. That I have no respect for whatsoever. I think bloggers and social media have finished the job of film critics. I don't know that people take critical opinion, unless it's the majority social media opinion, seriously anymore. Nobody cared that SUICIDE SQUAD got bad reviews. It didn't stop it from doing great business. The fans wanted it to be a good movie and they went to see it. You followed DARK CITY up with the low-budget GARAGE DAYS which took you back to Australia. What was the impetus for that? I wanted to have some fun making a film about a very personal story. I like comedy, although it's questionable whether I am any good at making comedies. The movie has some fans that really like it, and it was one of the best experiences making a movie that I have ever had. It was just so great to be working with those people at that particular time in Sydney. I try and challenge myself, and I like doing something different each time, and here everything was as far in the opposite direction of DARK CITY and THE CROW as you could possibly get. It was a challenge for me to see if I could flex those particular muscles. I still like the movie very much. It's one of the few that I've made that I can happily go back and watch and enjoy without questioning everything about it. I'm one of these guys who watches their movies and always thinks they could have done it better. I'm never happy with what I've done. Did the experience of making it rejuvenate you in any way? To an extent, yes. After coming through the many years to get DARK CITY completed, to do GARAGE DAYS so quickly and have it done and dusted within a year was a lot of fun. I tried to dupiclate that with KNOWING as well, which was also made very quickly. How did I, ROBOT come your way? The project came about in a slightly peculiar way. There was a spec script called Hard Wired by Jeff Vintar that I had read quite a few years earlier and was something I was considering making. Then Twentieth Century Fox said ''We have the rights to the title I, Robot. Would you be interested in making a movie based on Asimov's robot stories?'' I said ''Yes, but strangely enough I'm already working on a project called Hard Wired for another division of your studio which I think is a great robot story. '' We then discussed essentially bringing the two ideas together. 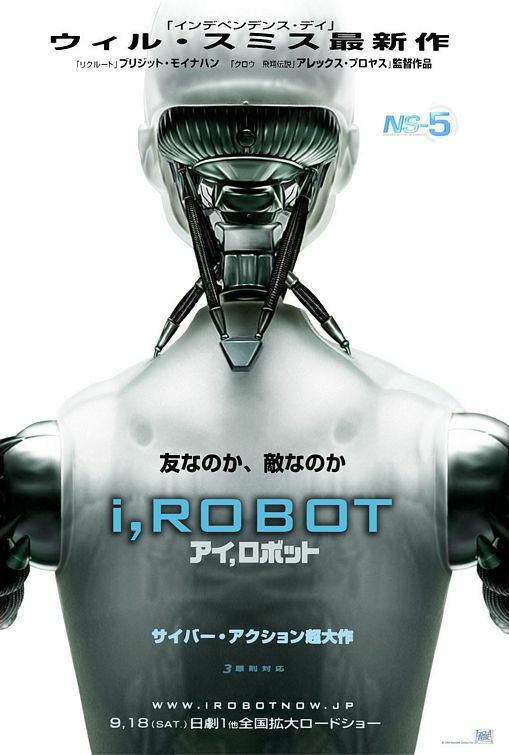 The I, Robot book shares some common characters but is a collection of disconnected short stories. The idea of making a series of movies based on the Asimov stories was really appealing to me, and I thought the Hard Wired story would be a great way to bring us into this potential franchise. When Will Smith came on board did the nature of the project change at all? Yes, it did. It got to the point where I was very happy with the script, and we had made a composite of some of I, Robot's conceptual thematics and some narrative ideas. Jeff's original script was very theatrical and was set in one location and he had opened it up successfully into a big, epic robot movie, which is what I wanted to make. I cut a mock trailer where I had used footage from past movies and created some imagery of our own, highlighting The Three Laws of Robotics. Strangely enough, when they made the theatrical trailer for the finished movie they went back to this trailer and copied it in many ways. Will saw the mock trailer and read the draft of the screenplay we had, and wanted to do the film. I loved the idea of Will in the film, but I was a little concerned at the time that it would take the movie in a direction I wouldn't necessarily want to go in. At this stage, it was impossible to say ''Thank you, Will, for your time. '' He was very much the reason the movie got made, no question. Suddenly the studio became very excited about doing a Will Smith movie. There was a reason he was the highest paid actor in Hollywood at that time. He meant a lot to the box-office. The movie took on a new life as a result of him signing on. Will is the most lovely guy you'd ever want to work with. He's a gem and kept me laughing through the entire production. He's also a very good actor. Will also didn't want to make a film overly gaggy or Will Smith-esque in that respect. It was the studio that was pushing us to put more humor and gags in. Will is very good at improvising stuff like that, and there are a couple of really good jokes that we used in the film that he pretty much came up with on the set, but he was having a hard time with the humor because a lot of the time he felt that it wasn't right for the story. We designed it so that we could always cut the humor out if we needed to. We had a test screening in a multiplex in the middle of California somewhere, a few weeks before the edit was to be completed, and it was the most phenomenal screening anyone in the room had ever experienced. That meant that we had to retain all the humor that was in the cut we had screened and played well for a mainstream audience. I saw the film again recently and I think Will is great in the movie and the humor makes his character a smart-arse, which is what you want from the character. Overall how would you characterise your experience of making the film? It was an unpleasant experience. 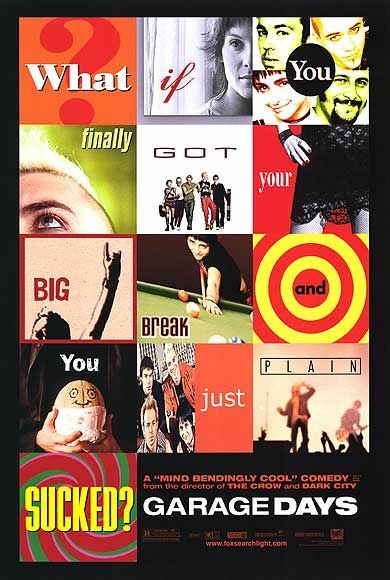 The movie was micro-managed and messed with at every level at every point through the entire production, from pre-production through the shoot to post-production. After a couple of years of this, the solid ground that I stood on as a director became shaky, and I became obsessed with keeping as many details as I could to the point that I didn't realise how much of what enthused me originally was getting lost. I used to describe working on I, ROBOT as running a marathon with the studio lined up beside you throwing chairs under you to make everything that little bit harder. It's so unnecessary because at all times I was just trying to make the best damn film I could. Did you enjoy working with the special effects and technology on the movie? Digital Domain and Weta were the two main houses that did the robots in the movie and we were at an early point of motion capture and creating CGI characters like the robot we created. It just showed us what could be achieved and it was an extraordinarily satisfying part of the process. 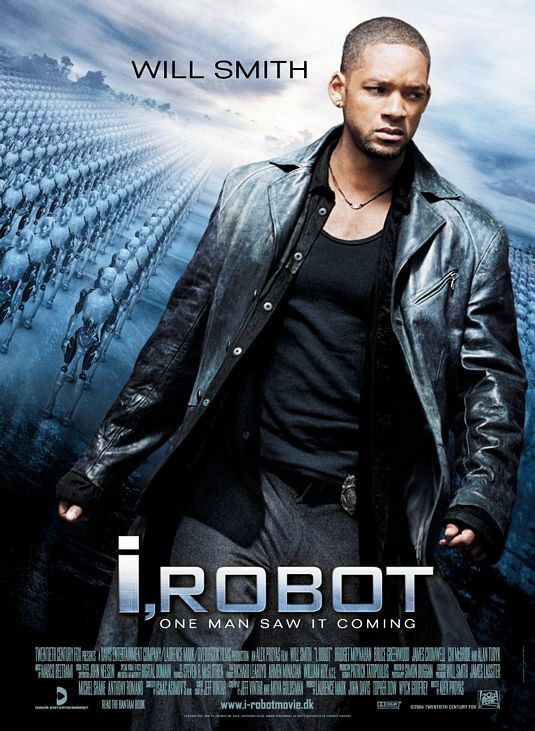 I, ROBOT and GODS OF EGYPT are the two movies where I felt like I made the movie twice: once as a live-action movie and then all over again as an animated movie, just because of the sheer quantity of visual effects.